We understand how upsetting it can be to have a sick pet, which is why no matter how busy we are, we will make the time to see your pet. Unfortunately not all hospitals do this, and because we will not turn away an animal in need, we occasionally run behind schedule. We appreciate your patience with us, as we do our best to stay on time. We want you to know if the time ever comes that you have an emergency we will not turn your pet away. With your busy schedule and the stress that comes with having a sick pet, our animal hospital assures Detroit, St. Clair Shores and Grosse Pointe area pet owners that we will do our utmost to serve you well and promptly. There are a lot of vaccines that are not needed and can even be harmful (i.e. corona, giardia, FIP). We do not believe in over vaccinating animals. And we do not believe in “one size fits all” medicine. We will discuss your pet’s lifestyle with you, discuss the risks of vaccinations, and decide which vaccines and how often they should be given to your pet. Our animal hospital understands that more and more pet owners are adopting this approach and we want to accommodate these beliefs, which we share. Could you imagine having surgery and NOT getting anything for pain? Neither could we, in years past, it was mistakenly believed that animals did not feel pain like people do, or that giving pain medications would encourage over activity and potential injury. Research shows that in addition to enhancing the pet’s comfort, good pain control also improves anesthetic safety and actually promotes faster healing. Our Detroit pet clinic is committed to using the most advanced pain control methods available to keep your pet calm and pain-free before, during, and after every surgical procedure. We understand that everyone hates to see their dog be uncomfortable and itchy but steroids only provide temporary relief and can be very harmful. Instead of relying on steroids to mask the symptoms, we use multiple approaches (environment, topical therapy, immunotherapy and nutrition) to address your pets underlying problem. All of our animal hospital staff, from doctors to kennel help, attends regular continuing educational seminars. We feel it is important that we continue to learn and grow so we are always able to offer your pet the latest treatments. We see ourselves as not only your pets family doctor, but also as your pets advocate- it is up to us to make sure you have all the information you need to make the best decision for your pet. Even pets that appear happy and healthy can have hidden medical problems that might grow serious, even life-threatening, if left undetected. Blood tests are essential for identifying diseases at the earliest, most treatable stage possible. When basic lab testing is done as part of your pet's annual exam, the results are recorded. We can then review your pet's file at each subsequent exam and spot abnormalities or trends sooner, before serious diseases can develop. We require lab tests before anesthetic procedures to ensure the health of you pet before the procedure. Certain medications can cause health issues as well as help your pet, so we monitor chronic medications with lab work. We understand that sometimes pets can be a bit hard to handle at the vet. When you visit our Detroit pet clinic please know that we are prepared for this and it’s actually quite normal when pets feel stressed. Crazy dogs and nervous cats- we love them all. We take the time to let your pet settle in and we give lots of love. We believe that tasty treats and going slowly can make all the difference. We want our patients to enjoy their checkups. The same goes for you, if you are nervous about a procedure, unclear how to give medications or just not sure how to deal with your pet’s illness- we are here to listen and help in any way possible. We understand we are a small part of a larger community. We are committed to improving the communities we serve. Our staff is part of the community and we believe providing them with benefits like health insurance and retirement is not only important for them but our community as well. We also support other local businesses and charities. We are actively involved in community events, school programs and pet rescue groups. We believe that it is important to support the communities that support us. We have established working relationships with multiple specialists. These boarded specialists visit our practice to provide specialty surgical services and procedures in our hospital, so it is less stressful on you and your best friend; it will also save you time and money. We also work with several area specialty referral hospitals. Unlike other hospitals we do not believe our job ends with a referral, we will be there to answer your questions and work with your pet’s specialist to make sure your pet receives the best care possible. We understand how difficult it can be when dealing with a critically ill pet, we are always here to help answer questions, offer advice or just be a shoulder to lean on. These are just a few of the ways we are different. We pride ourselves on being different, in a good way. We invite pet owners from Detroit, Grosse Pointe, St. Clair Shores and the vicinity to come discover all these differences and more! We’re all about making your vet visit great – for you and your pet! 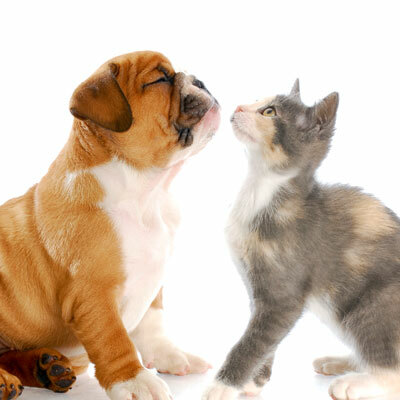 By choosing us you have chosen a team of individuals that will work with you to keep your pet healthy. If you ever have a question, concern or even a complaint- we want to hear it.